Water Testing of Closed System Water. It is important to test your closed system regularly, especially for chemical reserves, Feedwater offer a range of Chemistry and Microbial tests performed by our in-house Micro and Chemistry labs. 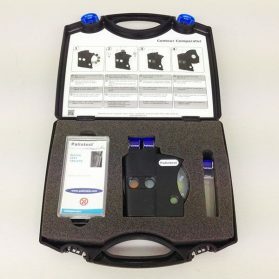 We can also provide test kits for you to test your own closed system water for inhibitor reserves and other parameters. 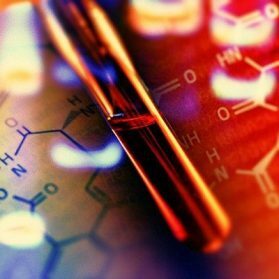 The analysis can help you to identify what inhibitor you are using, what the levels are and the condition of the system. 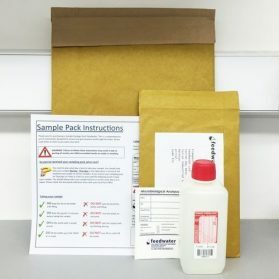 You can also test for yourself using our comparator kits or dropper titrants, to perform the whole range of test advised for a closed system please see our test kit category in our web shop. You will need a conical flask and measuring cylinder to perform this test. Feedwater recommends treating boilers to gain a result of 12 – 20 tannin units using the tannin test kit. 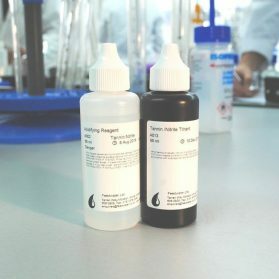 1 drop in 20ml of sample equals 2 tannin units or 20ppm, see the test method of further instructions. Sample pack comes with prepaid return label & envelope. 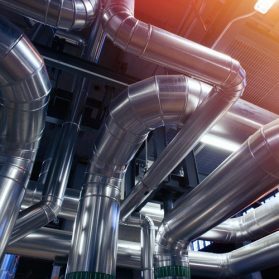 If untreated closed loop systems can become a breeding ground for a range of troublesome microbes such as pseudomonas, nitrifying and sulphate reducing bacteria. They can cause fouling, destroy closed loop inhibitors and cause MIC (microbially induced corrosion). 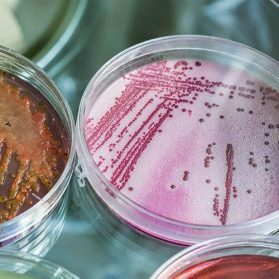 If you suspect you have had inadequate biocidial control in your system you may wish to test for these microbes. 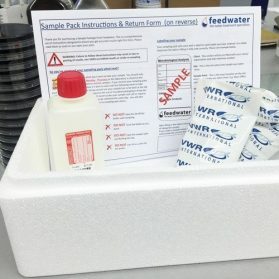 Fortunately Feedwater offer these analysis as a service readily ordered from our web shop as a sample kit sent to you with pre-paid return to our micro laboratory. Sample Pack & Lab Analysis. Feedwater can test for a variety of chemical and microbial parameters, visit our laboratory analysis page to see the full list of what we can test for. 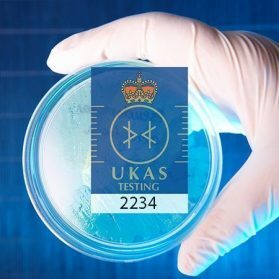 Our Micro Lab is UKAS accredited for Legionella & other micro analysis.